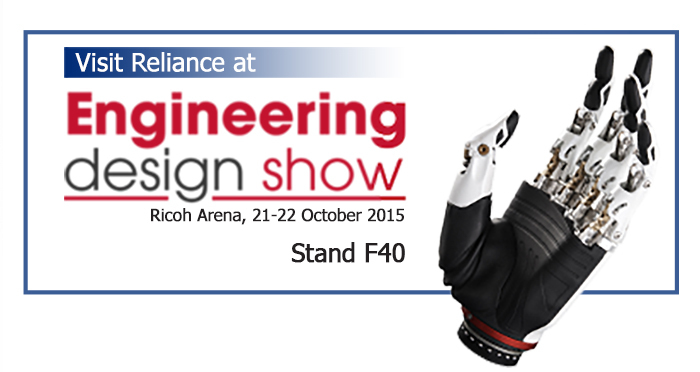 Reliance Precision will be exhibiting at the Engineering Design Show in Coventry on the 21st and 22nd October 2015. Held at the Ricoh Arena and now in its fourth year, the show encompasses all aspects of engineering design under one roof and is aimed entirely at the design sector. Reliance will be joining over 200 market leaders and suppliers at the show and will feature its extensive range of precision motion control components and electro-mechanical assemblies. Reliance’s catalogue of standard products offers a fast and comprehensive source for design engineers working in accurate rotary or linear motion. Customised and modified parts are also available for individual applications and Reliance’s technical team are able to provide an excellent design support service; providing support during new product design and development projects. Using standard catalogue products, customers can create complete solutions and cost-effective assemblies for prototyping, full production and test. Reliance Precision looks forward to welcoming visitors to stand F40.